How Much Dialog is Too Much? How much description or dialog that may be “unnecessary” to the plot is acceptable if it contributes to “atmosphere” or characterization? Short answer: Nothing “unnecessary” belongs in your novel. But this reader’s question is not about padding his novel with “unnecessary” dialog. The question is really one of proportion. What proportion of the book can be allotted to atomosphere and characterization compared to plot advancement? In some genres, the plot may be the most important element. In others, character is of more interest to the reader. Whatever the genre, however, the story is more than the plot. If your dialog establishes atmosphere and characterization, it will contribute at the same time to the plot. How much dialog and what kind will be determined by genre and personal style. A page of P.D. James is denser than a page of Elmore Leonard. Some pages in a Leonard novel have so much white space you might think you’re looking at the script for a play. James, on the other hand, will give one speaker a brief line and have the other speaker respond with a paragraph. The result is that a page of her dialog resembles a page of narrative. At a guess, I’d think that for most modern writers, the narrative:dialog ratio is about 50:50. Some of the dialog will advance the plot. Some of it will establish character. Ideally, all the dialog will do some of both. Since most of us write the kind of books we like to read, it can be helpful to analyze the work of favorite authors to see how they do it. And keep your target audience in mind. Readers who love Elmore Leonard may not go for P.D. James. 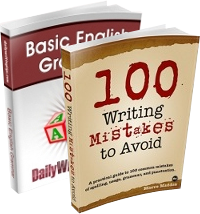 Leonard, who writes very lean prose, has formulated 10 Writing Tips for writers who would like to emulate him. You can find them here. 10) If it sounds like writing, I rewrite it. Brilliant. Both of those things irk me. I tend to stray away from long sections of dialog in books, and it might be why I keep it to a minimum in my own writing. I think that it can be one of the most useful ways in fleshing out a charecter’s personality, but it can be way over used. One of the things that I can not stand is when the author repeatedly tries to overcome plot holes by explaining what did, or didn’t happen using (planned) dialog. I also try to avoid conversations between more than two people. It is very easy for readers to get lost or confused unless you use a dialog tag after every line, and that it horrible. An example of that would be page 5 of The Sound and The Fury. Read that and tell me that is not just aggravating! Don’t get me wrong Faulkner is the man, but give me a break! I have to agree with Les. The fact is, if you listen to real life dialog (aside from maybe a speech or a professional meeting of some kind) most of it runs in one or two sentences and some of it doesn’t even have full sentences. I also have to say that at times, dialog can carry the plot along, develop the character and do something else. I’ve had dialog in my writing that was inner dialog. I’m currently writing a project where the MC is telling the story and his inner dialog is really the narration. Thanks for addressing this question; it had been hounding me. After reading your response, and Leonard’s rules I gained some of the confidence I needed. As I write, if I can _easily_ justify something to myself, I will keep it in the first draft (if I dislike it on the 2nd, however, it’s chopped). For instance, my internal dialog may say: Characters X & Y _can_ converse as they drive because, even though it doesn’t progress the plot directly, it is connected to the story’s theme and helps the reader understand, and therefore care about, the character’s point of view. I have little time to write, and so I try spend time only on things that are “necessary”; however, I don’t want to be minimalistic at the cost of the texture or thematic quality of the novel. I’m glad you addressed this, because I’ve been wondering it myself for quite a while. I originally envisioned the story I’m currently working on being pretty fast-paced, but that doesn’t suit the story’s needs anymore, so I’m slowing things down and welcoming more dialogue than I was before. I can’t say what will stay in the final draft. 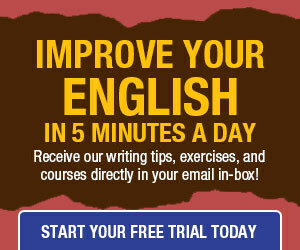 I liked Elmore Leonard’s tips, especially about using “said”, sans adverbs. I was a little bit validated to realize that I already follow all of those rules without having read them before. I feel more confident now. I tend to use a lot of dialogue, especially because I tend to focus a lot on character interactions and relationships. I always remember “Hills Like White Elephants” and how much I liked the dialogue in that story, to ease my guilt, but I still feel like dialogue is too easy, like it’s cheating or something. I like reading it though, if it’s good, so I suppose I might be alright.